Grades Pre-K-5, Youth (grades 6-12) and adults have Sunday School classes starting at 9:15am. 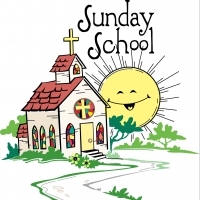 Sunday Worship begins at 10:30am after Sunday school. Email Children's ministry coordinators at kids.sumc@gmail.com with questions about the childrens classes. Email the church office at kerri.sumc@gmail.com with questions regarding adult classes.